At Kaamps everything is still hand made, and it's a difference you can taste. 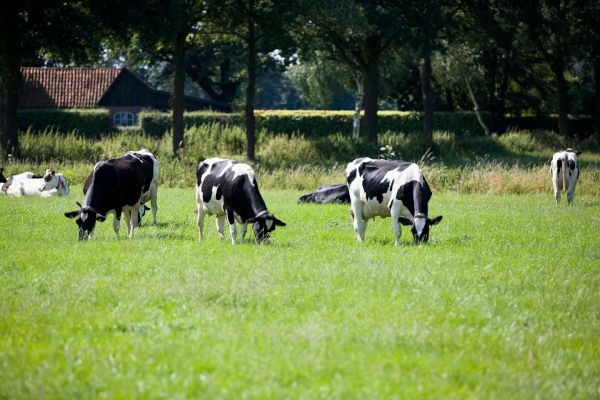 As we drove across the vast open, fields of Twente (The Netherlands), it was easy to see why Kaamps is a thriving cheese maker in the region – the lush green landscape, the clean air and the open, empty roads. When we asked a passer-by for directions in the picturesque village of Deurningen, we got a taste of that famous countryside hospitality. People here are still friendly and outsiders are treated to a warm welcome. But the warmest welcome of all is the one we got at our final destination: Kaamps' estate on the edge of the village. We meet cheese maker Femke Nijland on the grounds Kaamps' expansive estate. A farmer's daughter, she grew up amongst the cattle on the farm's rolling meadows. 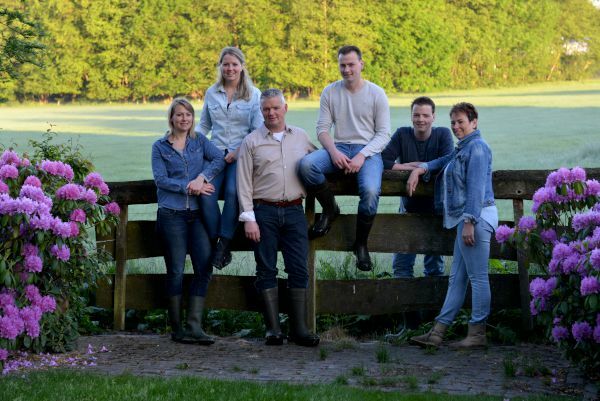 Kaamps is a true family business, where the work is divided between Femke, her brother, sister and her parents. They'll be expanding in a few years' time, she says. "Then my youngest brother will be old enough and he will join the company, too." At the front end, the company has a store and a brasserie where visitors - including plenty of locals – can enjoy a taste of their homemade cheese delicacies. The smell of pesto, forest mushrooms and herbs hangs in the air - not exactly the smells that you would associate with cheese (but more on that later). Here, food is tasted, eaten and above all, enjoyed. While the public-facing operations are dominated by food, what's going on behind the scenes is all about production. The cheese is made on their farm, as is the milk that goes into it. Over 180 cows provide the milk to produce the cheese. One unique aspect of the farm is that the cows aren't milked by hand. Several years ago, in 2005, Kaamps upgraded from a standard milking machine to what they describe as a voluntary milking system. How does it work? It's actually very simple, explains Femke. "The cow decides for herself when she wants to be milked. She knows where the milking robot is." And right before our very eyes, one of the cows walked right up to the milking robot. One arm brushed the udders, then the other arm moved to the cow's teats to start milking. The cow looked at ease, as if this was the most natural thing in the world. And it is. "A voluntary milking system has a lot of advantages," Femke explains. "You don't have to herd all the cows to the barn every morning and night, so you have more time for other things, like growing good food and making sure you maintain high levels of hygiene in the farm. That's vital for the quality of the milk as well as the cheese." But how on earth do you teach a cow to get milked voluntarily? Femke laughed when we asked her that very question. "It's surprisingly simple. The first time, we lure the calves with a handful of food. From then on, she knows, and we don't have to do anything else." The advantage of a milking robot isn't just convenience, but also the quality of the milk. The bacterial level is lower than with a milking machine, because the machine cleans automatically. The system is also better for the cow: the robot knows when there's no milk left, so it doesn't milk longer than necessary. So much is done by hand at Kaamps, as Femke eagerly explained. And that's something you can see for yourself. When we sampled the award-winning Boer'n Trots kaas', the added value of true craftsmanship was clear. The cheese tasted smoother and creamier than standard, mass-produced cheese. The cows spend a lot of time out in the meadow, says Femke, and that was a conscious choice. "Because the cows are outside more, they eat less corn on the farm. They eat a lot of grass, and that makes the cheese smoother." In addition to the grass (and sometimes clover), it's the award-winning family recipe that makes the difference. "My parents came up with the recipe, and we still use it," Femke explains, but she can't reveal the exact ingredients. "The family recipe will always be a secret," she says mysteriously. The secret family recipe has not only earned plenty of awards, it's also created a large market for their product. And it's a market that's growing, especially in the USA. "You'll notice that they're increasingly looking for specialty cheeses there - cheese with pumpkin seeds, cheese with nuts, you name it." The success in America is impressive, because traditionally the US is very focused on cheddar. How is it that America is now embracing other cheeses, too? "That's a process that has been going on for a while," says Femke. "European cheeses are available in more and more supermarkets. Our cheeses are available at larger retailers, chains with between 500 and 1500 stores. Those retail chains want to offer the consumer something special. And because it is becoming more available, Americans are starting to appreciate our recipes more." Speaking of recipes, one of the things that's endlessly fascinating to the cheese maker is coming up with new cheese recipes. Femke let us taste a cheese made with a new recipe, a forest mushroom cheese with chives and chestnuts. It's a cheese is inspired by a pasta recipe that Femke found online. "Those things really inspire me, because you're going to come up with something that wasn’t there before." She decided to make the cheese, and it was a success. "That's the advantage of a relatively small cheese dairy. You can start with just a kilo. Based on experience, you can often anticipate the ratios you need to make it work. And if you're wrong, you try again. Those are things you wouldn't be able to do at a large cheese dairy." The now-vast assortment of specialty cheeses (like green pesto cheese, pumpkin cheese and black truffle and honey cheese) have earned this cheese dairy a unique place in the market. "For us, it's really important to be special and stay special. We don't just want normal products, we want specialty cheeses, too, with more coarsely chopped herbs and new recipes." It's a never-ending story of cheese-making creativity. "You have to keep experimenting to stay ahead and stay unique."